Roadrailer! This is my first experience shooting a Roadrailer train (at least in recent memory). UP had just started running the ZCHEM (Chicago-East Minneapolis) a week earlier. The train originates at the NS Calumet Yard in Chicago, is handed off to UP somewhere in Chicagoland, then wanders up to The Cities on UP's former C&NW Adams Subdivision. 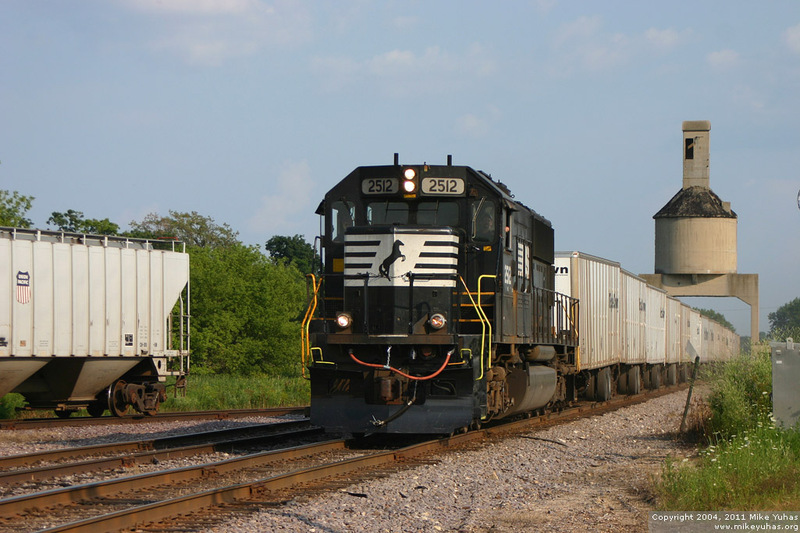 A Norfolk Southern SD70 leads 15 trailers under the old coaling tower at Clyman Junction, Wisconsin.